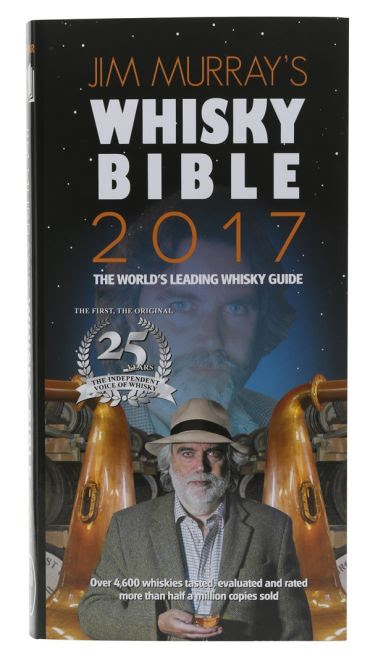 Jan 2017 - Jim Murray Interview part 2 - "on a good day I'll taste 20 whiskies"
In the second part of the interview with Jim Murray, he explains his strict rules for choosing his World Whisky of the Year, his response to critics of the Whisky Bible, and his retirement plans. How do you go about tasting for your Whisky Bible? It averages out at 1,200 [whiskies]. It’s a good day if I’ve done 20, I’m concentrating so hard. I’ve had a number of girlfriends from different countries, and come the evening, they go quiet, because they’ve spent all day translating in their head. I’m a translator – that’s what I do with whisky. I listen to the whisky and I translate it into English. Have your tastes changed over the years? Not at all. I still don’t like whiskies which are too much of one thing, and that includes peaty. Or, if you can only taste the sherry and nothing else, even if it’s clean, then you might as well buy a bottle of sherry. The reason [Yamazaki Sherry Cask 2013] won was because it was the most extraordinary ‘intertwangling’ between the oak – big oak – and the most gorgeous sherry. It was the closest thing to Macallan of the mid-1970s. Scotch whiskies haven’t won your top award for a while – why not? They’re not winning because there are whiskies out there that are better. It’s like joining the European Cup. You may be absolutely brilliant in your country but then you play against other teams and suddenly you melt. You just haven’t quite got what they’ve got to lift it, and Scotland’s been a bit like that. Talk us through the Bible front cover… It’s Doctor Who! The 2017 edition marks 25 years of me being in the industry, so there’s a picture from about 23 years ago and an up-to-date one. The yellow eyes? A bit of fun. At the end of the day, you want to sell books, and if people do a double take, you’ve grabbed their attention. And people who know me know I’m a massive practical joker. What do you say to critics of the Bible? I get a bit cheesed off when people say I give an award for this and that because I’m on the take. These people don’t have a clue what I’m about; I believe in total honesty. When I gave World Whisky of the Year to a Canadian whisky [Crown Royal Northern Harvest Rye], people said I did it for publicity. Selling books in Canada is virtually impossible! If you sell 5,000 books in Canada, it’s a bestseller. If we gave the award to a Scotch whisky company, we’d make far more money. So you get these idiots coming out with no idea about the reason why you give the award. There’s only one reason: because it’s the most complete, the most beautiful whisky I’ve tasted that year, wherever it’s from. The only criteria I look at is quality. 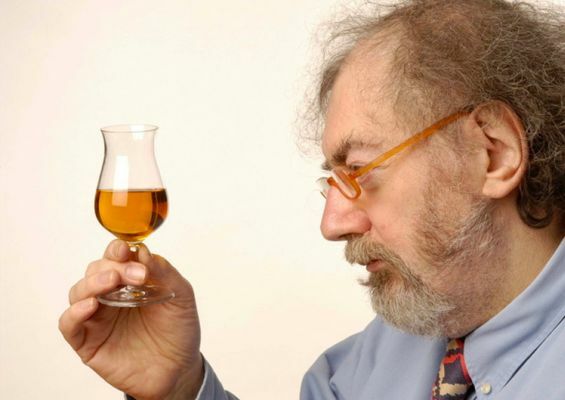 You were good friends with the late whisky writer Michael Jackson… Michael was a beer guy – and a dear friend. We were both ex-Fleet Street; we had certain things in common and lots of things we didn’t have in common, but he was a terrific writer. He had a meeting with his publishers about a new book, and his editor said to him ‘What do you know about whisky?’ and Michael said he knew virtually nothing. But he could see that the amount of work he was getting from beer was drying up so he said: ‘I can learn.’ He fell in love with it [whisky], but it was never his passion. If I put a pint of Chiswick Bitter in front of him, his eyes would absolutely sparkle. If I put a Lagavulin – which he loved – in front of him, he would smile. But his eyes never sparkled, and that was a huge difference. And what about the new crop of whisky writers – or rather, the lack of them? When I first became a full-time whisky writer in 1992, there was virtually no internet; you had to do all your research the hard way. When I did Jim Murray’s Complete Book of Whisky, I had to do old-fashioned journalistic legwork to find out where all these distilleries were, so I went out and found them. No plans to retire, then? As a Fleet Street journalist, I’m used to getting my head down and working solidly until the job was done. I’ve got no plans to retire, none whatsoever.